After years of tension, Britain and Russia are attempting to reset their relations as the British foreign secretary, David Miliband, met with his counterpart Sergei Lavrov in Moscow. Miliband, the first British foreign secretary to visit Russia in five years, stressed the positive, saying he and Lavrov had taken steps toward improving ties between the two countries. "As a result of our talks, I think we can say that not only do we understand each other better, but we are going to find ways to work together better," Miliband said. Talks between the two diplomats focused on Iran, the Middle East, and Afghanistan, with Britain seeking to determine to what degree Russia will cooperate on the war in Afghanistan and Iran's nuclear program. Russia has pledged aid in nonmilitary transit to Afghanistan, but has been lukewarm about sanctions against Tehran. 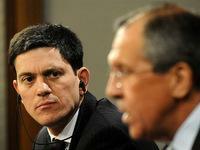 Lavrov, who met with Miliband on November 1 and 2, said the talks had proved useful. "I hope they will help us move forward on the issues on which we hold close positions, as well as on those issues where we are still working to bring our positions closer," Lavrov said. But even agreeing to disagree is an improvement over three years ago, when British-Russian ties dipped to a frosty low in the wake of the poisoning death of Aleksandr Litvinenko, the former Russian security officer and Kremlin critic who died in London, where he had gained British citizenship, after being served tea laced with radioactive polonium. Britain's investigations have focused on Andrei Lugovoi, who police believe was responsible for poisoning Litvinenko. But Russia consistently refused to honor Britain's request to extradite Lugovoi, saying the Russian Constitution does not allow extradition of its citizens. The issue has remained unresolved, even as Lugovoi went on to be elected to a seat in the State Duma with the Liberal Democratic Party. Miliband said Britain will "continue to seek justice" for Litvinenko's killing. But Lavrov was equally firm in stressing the constitutional rationale for refusing to extradite Lugovoi. "As far as our position is concerned, it has not changed," Lavrov said. "I believe our British colleagues understand that demands to change our constitution are absolutely unrealistic." Russia has complaints of its own. Britain, for its part, has refused to extradite the fallen oligarch Boris Berezovsky and Chechen exile Akhmed Zakayev, both of whom are wanted in Russia and were given political asylum in Britain on the grounds that they could not expect a fair trial in Russia. The tensions saw Russia launch a campaign against the British Council in Russia, closing almost completely the operations of the education and cultural body. Moscow also accused British Embassy officials of spying. In turn, London tightened its visa regime for top Russian officials, and suspended cooperation with the Russian security services. "The Guardian" newspaper quoted diplomats as saying that this move caused "disproportionate irritation" to Russia's high-ranking bureaucrats, who enjoy visiting London to shop and have children at private schools in Britain. Vladislav Belov, from the Institute of Europe in Moscow, says that in the wake of the United States "resetting" its relations with Russia, it's natural for Britain and Russia to come closer too, because of London's status "as the closest ally of America in Europe." The financial crisis has also had an impact on bilateral ties between London and Moscow. Last month, Russian Finance Minister Aleksei Kudrin visited the British capital as part of Russia's attempt to raise $18 billion in bonds to help its economy through the financial crisis. 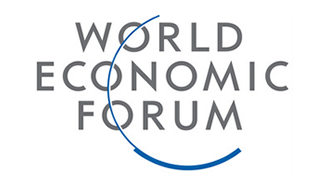 Britain is one of the biggest foreign investors in Russia. Vladimir Pribylovsky, an analyst at the Panorama Center in Moscow, says that Russia's relations with the West depend on two things: "how much the West forgets about the internal problems of Russia and does not pay attention to it -- and what Russia's economic status is. If oil prices are high, then the Kremlin has more chance to feel free from the opinion of the West." Miliband's visit has stirred some controversy in Britain. Litvinenko's widow, Marina, criticized the foreign secretary's decision to visit Moscow on the third anniversary of her husband's poisoning. 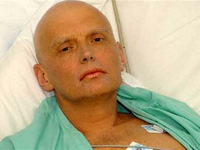 Aleksandr Litvinenko fell ill on November 1, 2006, and died on November 23. Before Miliband's visit, a group of British members of Parliament urged the foreign secretary in a letter to raise the question of human rights in Russia and of the jailing of Mikhail Khodorkovsky, once Russia's richest man. "The U.K. must raise concerns regarding Russia's lack of respect for human rights, property rights, and rule of law; and challenge the use of national energy providers as an aggressive foreign-policy tool which isolates Russia from the rest of the international community," they wrote. Miliband, who has been touted as a possible EU foreign secretary, was set to meet civil society activists and business leaders and politicians later on November 2. Miliband will also see his long-lost relative, Sofia Miliband, who met with his brother, Ed Miliband, the energy and climate change minister, when he visited Moscow last month. She contacted Ed Miliband by calling in while he was on a chat show on Ekho Moskvy radio station.